Sun Line is a well designed sun protection and care system with various sun protection factors. All products have been tested in accordance with DIN 67501. 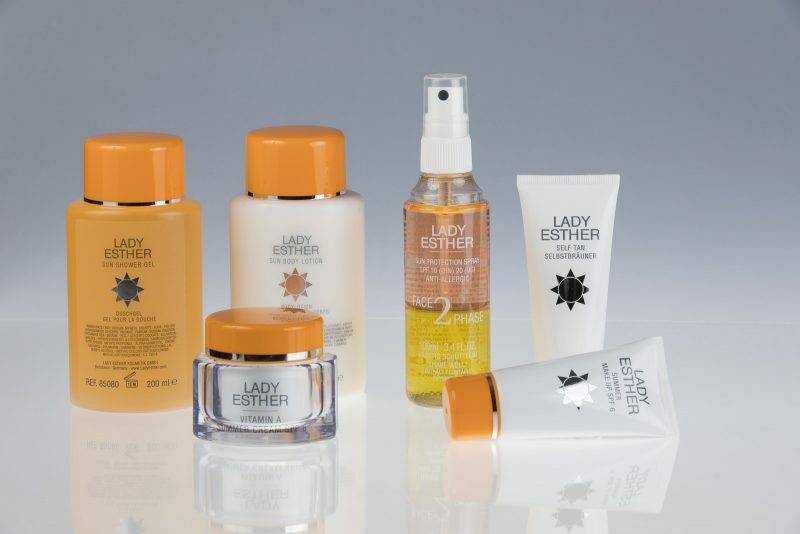 After sun products are available for the face and body to stop irritation and ensure an intensive and long-lasting tan. 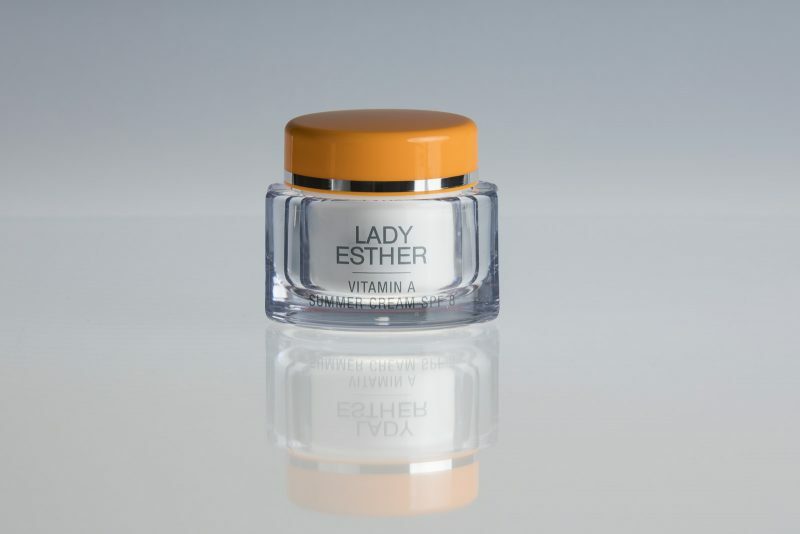 Customers who use vitamin A products all the year round (Vitamin A Cream, Vitamin A Special Winter Care, Vitamin A cream Mask and Vitamin A Concentrate) will find this sun cream an ideal seasonal supplement to their normal care programme.This cream offers a high quality of care thanks to the positive properties of vitamin A, the protective beauty vitamin. Vitamin A fights the keratinization process and leaves skin that has been exposed to too much sun feeling soft and silky again. UV-A and UV-B filters protect light skin that is sensitive to the sun. 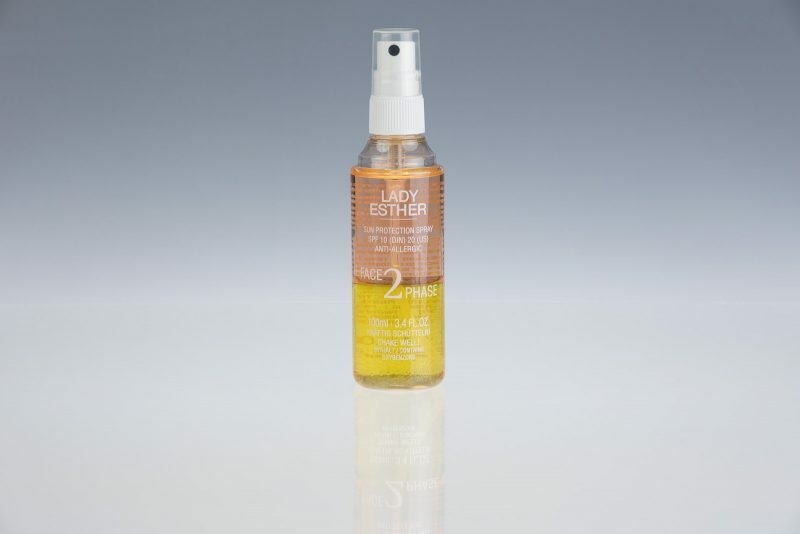 A completely new sunscreen spray with allergy protection.It contains absolutely no emulsifiers, mineral oils or perfumes. Precious jojoba oil, UVA and UVB filters provide caring and effective sun protectionfactor 10 (DIN) / factor 20 (US). Please shake well prior the use until the mixture is consistent orange colour. About 30 pump sprays are sufficient to reliably protect your body. For smaller areas simply use less. Brings a transparent brown to even the fairest of skins as if by magic. 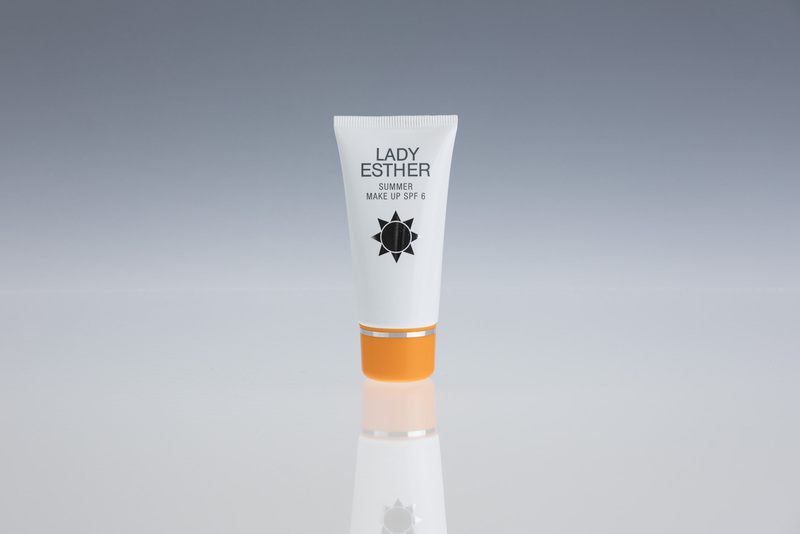 The light consistency makes it ideal as a natural summer foundation or as a toning sun protection cream. Sun potection factor 6 and UVA and UVB filters guarantee effective protection. Phycol UL a modern additive made from algae serves as a radical scavenger. Ulva Lactus (lat.) is a green algae with narrow, green fronds which grows on rocky and sandy ground.